How would you define prosperity of a society? This is a question many have been asking for so many years. The answers to this question lies in not finding the average income of the society – the metric used globally is – income per capita. This very simplified measure is like saying – what Professor Moradian told us in class of operations management – putting one hand in boiling water (100 degrees) and other in freezing water (0 degrees) and saying I am at an average of 50 degrees and kinda ok! We see a widespread income inequality across the globe. The definition of prosperous society should be defined by meeting basic needs of the people of the country. Communication and Internet is one thing which has become a part of basic necessities now a days. Human development index the other measure. For a couple of years when I am writing about business and its relation with spirituality (my interest being the Eastern philosophies – teachings of the Buddha and Hinduism) I see a measure is contentment as well is a measure – What more you need? 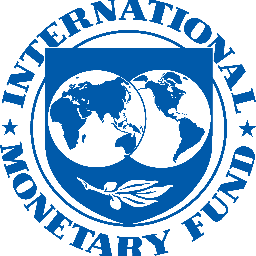 I was reading a recent news – Trickle down economics is wrong, says IMF of IMF research. This seems to be an interesting conclusion. We have been running behind capitalism during 1980’s now we are running on the other side in 2010’s. The research says – Trickle down economics reduces the GDP. What is Trickle down economy? Ronald Regan – President of US of A – coined this economics by providing special benefits to rich. The assumption of this theory is – if rich are provided tax benefits (reduced taxes) they would eventually invest in economy and growth will occur. In last 3 decades we have seen the impact of that economy. A 1% increase in the income share of the bottom quintile results in a 0.38% increase in GDP. Meanwhile, a 1% increase in the income share of the top 20% results in a 0.08% decrease in GDP growth. Trickle down does not work, it does not mean tilt towards the socialist approach. And yes – how would you measure prosperity? Well, by checking how content is each individual. That comes from within not outside. Remember the measure of contentment should not be like putting one hand in freezing water and other in boiling. How do you ensure that every citizen has the same level playing field? Who does that and how?